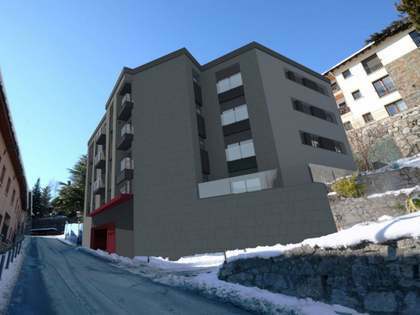 Brand new 4-bedroom apartment with a garden and spectacular views over the valley of Andorra, located in l'Aldosa de La Massana, 2 minutes from the centre of La Massana. 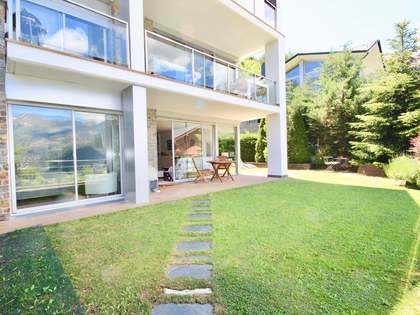 High-end apartment of 180 m² with 4 double bedrooms, a private garden of 151 m², panoramic views over the valley of La Massana, 3 parking spaces and a large storage room. The development of apartments is characterised by the high quality materials used both in its construction and finishes, the homes have programmable heating (home automation), secure entrance doors, white lacquered solid woodwork, built-in wardrobes by the brand " Carré ", high quality kitchens, wooden floors, modern bathrooms (large shower and hydromassage tub) windows with thermal insulation and sliding doors, fireplaces with glass door, etc. The property comprises a large entrance hall, fitted kitchen, living-dining room with a fireplace, access to the terrace and garden, a laundry area, 4 double bedrooms (all with fitted wardrobes and access to the garden), one of them with an en-suite bathroom, a bathroom with a shower and a toilet. Wonderful apartment located in the quiet village of L'Aldosa de la Massana, just outside the parish of La Massana. 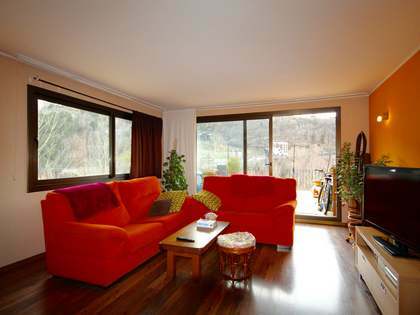 The location is ideal as far as tranquillity and proximity to nature is concerned, close to the International School and the Riding School, and only 2 minutes from the centre of La Massana and Ordino, where you will find all the necessary services offered by these two Parishes.